Why CINCO PASOS? – Or what do the 5 steps stand for? CINCO PASOS means 5 steps in Spanish. What is special about food in this region? Where can I sleep well and cheaply? Which keepsakes can I take to my memory? Based on these 5 steps, all holiday and travel models are created by AlemaPE-Tours. 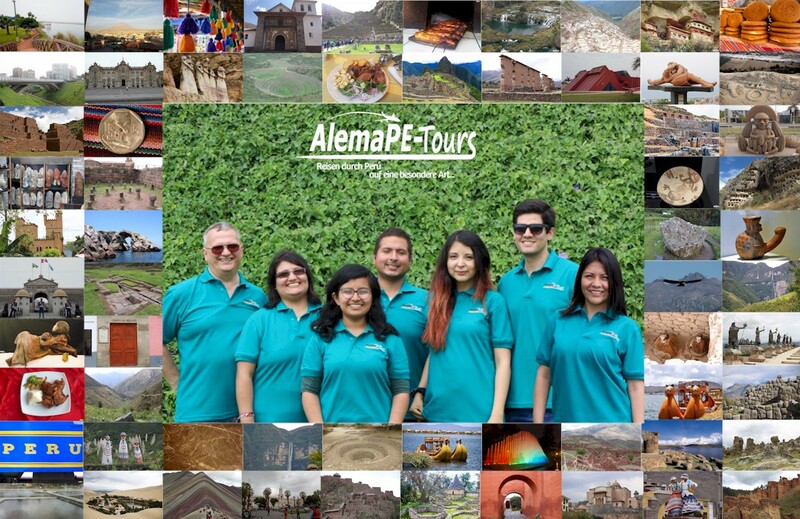 AlemaPE-Tours is a mainly family-owned German-Peruvian travel company in Lima and Callao. Our competent employees have experience in travelling within Perú and therefore we can advise you comprehensively. We are one of a few travel consultants in Perú who are mainly specialized in the Spanish and German-speaking markets. Since 2014 we have been offering travel advice with a focus on Perú. On request we organize your complete round trip according to your requirements. Our wide range of travel options also make it possible to combine individual travel components with each other and in this case we can combine all of our offered destinations. In advance to our long term experience in traveling within Perú, we can put together specific daily itineraries for you, which you can complete, for example, when travelling with a rental car, without getting any travel stresses. Also for these reasons you can take a lot more impressions about the diversity of Perú on the way to your destinations. You would not be able see as mch when you travel your on long distance trips by bus, which usually take place at night. Where does the name AlemaPE-Tours come from? Alema is the Aleman, the cozy german part of us that Karl-Heinz represents. PE is, how could it be otherwise, the endearing peruvian part that Samanta brings. Tours are what we like most to do when we have free time and spend a long time in Perú, because then we always travel in a double pack. AlemaPE-Tours is the result of everything. We are both deeply committed to Perú, and we want to share with you our experiences, tips and tricks for traveling in Peru, and our well thought-out travel packages to help you bind the destinations across the country with great routes. Where is AlemaPE-Tours at home? AlemaPE Tours S.A.C. is a Peruvian company based in Callao. We have one more base in the south of Germany, from where we consult Europe area. The mission of AlemaPE-Tours is to provide the best tourist services on the market, to exceed the expectations of our customers and to minimize the impact on the environment (energy saving and recycling). Personal attention, good communication and speed in our services are three important pillars to accomplish this mission. The support of our customer portfolio nationally and internationally. Does private travel offer benefits? Enjoy Perú in a very individual way: A trip with a private guide through Perú offers especially exclusive and intense insights into a country and unique encounters with its people. Since we know most of the local conditions better, you can assume that unpleasant surprises are avoided as far as possible. In the individually developed offers, we attach great importance to the sustainability of the journey. Our partners in hostels and hotels are carefully selected; We try to avoid the big chains and hotel castles and prefer family-run hostels or private accommodation with local families. Private guided tours through Perú can be exclusive and expensive; do not have to! We follow your budget. Let us convince you with an offer from us. A good guideline for an individual trip in Perú at the moment is an amount of 180-200 Euro per person per day for 2 participants and about 150 Euro for 4 participants. This includes guided tours (including fee and food and accommodation costs). Vehicle costs (including petrol, toll, insurance, etc.) are based on the desired duration and distance, which should be covered on such a individually planned route and can only be determined after planning the route. We help you to adapt these routes according to the seasons and expected weather conditions. Overnight stays with breakfast in middle class hotels (3 ***). or in a hostal we expect an average of 20 euros per person per night in addition. If you prefer luxurious accommodations (such as haciendas, boutique hotels, etc.) you should pay another 50-100 euros per person per day. Since it is customary in Perú, the local people pay less admission and the prices are quite often adapt, the entrance fees are part of the tour planning. Thus, it is also ensured that we can arrange tours not only for tourists, but also for Peruvians / and no one is over-favored by a package price. We will create a tour plan for your Perú trip individually tailored. Experience unadulterated insights, get to know the country and people in direct contact and enjoy your individual care by us as your direct travel companion! Who is my contact person before, during and after the trip? You have us as your personal contact. We are there for you before, during and after your trip. We do not strain your nerves with a call center and holding patterns. Is it really cheaper with AlemaPE-Tours? About AlemaPE-Tours you have the guarantee to buy your trip from a reputable expert at a direct price, without middlemen. Compared to an organized tour of a tour operator you pay a lower price than a conventional tour operator. You can also get quotes from other local agencies and compare prices. But please note that quality also has its price. We recommend that you be careful when choosing your travel provider. We have already visited all the local agencies and hostel / hotel providers that AlemaPE-Tours works with and have seen with their own eyes what awaits us there. The satisfaction of 95% of all travelers confirms the quality of our partners and our preparatory plans. Why are your trips so cheap? There are several reasons for this. 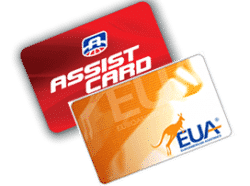 For one thing, we do not work with travel agencies in all our offers, but also have some of our own travel components in our programs. This eliminates commission payments, which we therefore do not have to take into account. Furthermore, we do not print elaborate catalogs for a lot of money. What you need for information about the trips can be found on our homepage. You are welcome to call us if you have any questions. Another important price factor is that we have our local office in Peru. This allows us to offer you high quality products at a fair price. How does AlemaPE-Tours deserve this? We see ourselves as a service provider and consultant, comparable to a carpool or travel consultant. However, we not only offer you a ride-in / coach service for tours in Perú, we also set up intricately planned fascinating routes with a multitude of sights. AlemaPE-Tours is provided by the agencies working with us and other partners around a tour for the service provided, i. E. Increase in customer volume, training of local travel experts paid. This commission does not raise the final price, the agencies and travel partners are obliged to offer the travel at a direct price. For pure travel advice, we charge a consulting fee depending on the effort and scope of the documents to be developed. This can range from the free distribution of various brochures, to a fully elaborated itinerary, which includes all accommodation with booking destinations and also includes destinations with accurate information on travel times. Also we can offer you assistance with the hotel / hostal selection and help with foreign bookings (mostly in Soleskonten) as a pleasant relief for your travel planning. As we have many years of travel experience in Peru, you can rely on up-to-date knowledge as we have visited the destinations many times ourselves and our network of scouts and friendly travel agencies are all committed to sustainable tourism. All own tours are carried out on own account of each tour participant. The prices, which we determine in the run-up to a tour planning, are expected cost variables with which a participant can calculate. Price changes may be possible at any time due to local circumstances. Through our local knowledge, we only provide travel companions, tour information and route planning. The tour program can be made very flexible. Of the already existing plans may deviate at any time and, for example. can also be flexibly supplemented if there is a desire. On weather changes and other seasonal circumstances and other disturbances caused by local influences can react flexibly in the planned course of a tour if something like this is to be expected. Which languages do our private tour guides speak? We are often asked: Does the tour guide speak German? Not always, as our tour guides and tour guides are often Peruvian compatriots (native Spanish) who speak good to very good English and can communicate with you in the best way possible. For some day trips, which are only in English or Spanish, they will also gladly try to translate anything you did not understand in German. We provide a German, Spanish and English speaking tour guide where possible. Of course, most of the travel leaders come from the destinations and know each other there. In the offered tour modules we point out the languages ​​of the tour guides. Of course, you will be accompanied by a German-speaking tour guide on the personally guided Perú tours. We know how to pass on our knowledge to you in an exciting and interesting way. So you get the mystical stories of the Incas explained in a special way. History figures do not necessarily play the biggest role in our Perú tours – they rather point out cultural and historical contexts. For special travel dates between december and the beginning of february you have the opportunity to accompany our management. If you are interested, please contact us directly for these special travel times. We will announce the tour plans accordingly. Why do I travel with my own tour guide? This circumstance guarantees you complete flexibility and individuality in your holiday country Perú. You do not have to adapt to the speed of a group or tour guide in any case, a commonly used path will generally find its appropriate pace so that everyone can keep up. No, you decide the pace of your tour yourself. Also very short term adjustments, e.g. in the itinerary, are possible. You no longer have to worry about everything yourself. Also sit back and enjoy the tour. What is the difference between group and individual travel? Our AlemaPE group tours are designed primarily for maximum country experience and are designed for people who like to be actively on the move and for the authentic experiences in the foreground and not pure luxury. You travel in groups of 4 to 6, max. 8 people. As a result, the group travel can be offered at a cheaper price compared to the individual travel. The AlemaPE individual trips are compiled for those who prefer to travel independent of a group on individual paths, but still cared for. Both the building blocks and the individual trips are flexibly adaptable to your individual needs and thus make it possible to fulfill almost all your wishes. Through different hotel categories, a personal mix of luxury and simple accommodations with flair can be created. What is the average age of the travelers? Is there an age limit? The average age of the travelers depends on the journey. Our participants are usually from 18 years upwards and mostly between 30 and 65 years old. However, there is no age limit. We have restricted all our groups to 8 people. We have chosen this maximum group size to guarantee a pleasant, comfortable and above all personal atmosphere so that our tour guide can respond to you personally. There are several ways to contact AlemaPE-Tours. If you are interested in a trip or parts of a tour that you discover on our website, you will find in the menu the button “Contact”. Click on this, a contact form opens. Of course you can also just pick up the phone. Our telephone numbers are also on our agency page. You would like to discuss your travel wishes personally with us on site? With pleasure! You will find us usually in Callao and Stuttgart, the exact address we will inform you if necessary after a contact request by e-mail. We look forward to you! How do you book your trip or travel components? If your non-binding inquiry has been received by AlemaPE-Tours, we will usually contact you within the next 2 working days. We will then plan together with you the journey to meet your wishes and requirements. How to help you design the appropriate means of transportation, your accommodations and other activities. As soon as we plan your trip together, we will send you a detailed itinerary with a cost overview. In addition, once the planning has been completed, you will receive a route plan that you can transfer to your end devices (for example, navigation devices or smartphones, tablets, laptops, etc. ), so that they are also provided for mobile use while traveling. Adjustments can be made at any time flexible changes. If you agree with the itinerary, you will receive a booking form containing all the necessary and important information (such as travel dates, deposits, total cost schedule and any applicable cancellation fees). With your signature you will finally confirm the booking of the entire trip. Afterwards you will receive a secure payment link. You can then use the methods of payment agreed in the travel booking to pay for your trip safely. As a rule, you first pay a down payment of about 30% of the travel price, the final payment is then due according to the payment agreement 90-45 days before departure. What data do you need when booking from me? With your booking confirmation you will receive your original travel insurance certificate from us. The travel insurance (also travel insurance) for package travel assures your deposits and final payments before a bankruptcy of the tour operator. This means that in the event of bankruptcy by AlemaPE-Tours, you can be guaranteed by a bill that all payments already made will be returned to you by the bankruptcy insurer. In addition, if you are on your South American journey, you would not have to pay the return flight out of pocket. But do not worry, you will not need the security certificate! Since 1994 tour operators in Germany are required by law to take out a bankruptcy insurance and issue a travel insurance for package tours to their customers. This is regulated in § 651k BGB. The security certificate does not oblige the tour operator to provide organizational assistance, e.g. in the organization of the return. Costs for accommodation and return flight will be refunded by the insolvency insurance company upon presentation of a security certificate, booking confirmation, proof of payments made to the organizer and receipts of own expenses. On the security certificate, the address and telephone number of the insurance company are to be specified for inquiries. The insurance company is obliged to provide information about whether the organizer actually pays the sum insured and the insurance certificate is therefore valid. You should keep it together with the other documents. Attention: The travel insurance is not a cancellation insurance! This must be completed privately and additionally. Cancellation insurance covers most of the cancellation fees (usually a deductible of between 10% to 20% of the cancellation costs has to be borne by the customer) if you have to cancel your trip due to illness or other very important reasons prior to departure. When do I book the best? Take your time and take your time with the different trips. If you have decided on your dream trip, this is also the right moment to make the booking. You will always see the current booking status at the respective trip. If the trip is already sold out or filled with the minimum number of participants, you will get an overview of the message that this part of the offer is no longer available. Normally, you will receive your travel documents approximately 14 days before departure. Is a travel cancellation insurance included in the price? A travel cancellation insurance is not included in the price. This can be completed separately. We will gladly provide information on this subject on request. How do I go about disrupting or adjusting the journey? Please send us any change request your individually planned trip in writing (via e-mail). We will then make the adjustment and agree with you in advance on the related adjustments to the payment arrangements. If you have to cancel your trip altogether, please contact us in writing (via e-mail). We will then issue a cancellation invoice according to the cancellation policy of your booking. Please also note the respective cancellation conditions of the local partners on site. These are in your travel documents / travel contract as an attachment, which you have received after the travel planning and down payment. Are flights included in AlemaPE-Tours travel prices? From experience, we have found that it is cheaper for you as a customer to book your own international flights. The flight booking process on the Internet is uncomplicated today. Furthermore, you can choose your own departure, time and desired airline. Our local experts can give you tips for your flights on request. Domestic flights are included in the tour price unless otherwise stated. If you are not sure, ask your local travel expert. For the trips to Peru we mostly use AIR FRANCE, IBERIA, LAN AIRLINES, DELTA, BITISH AIRWAYS or KLM. At certain travel times, the routes also already with Air France, KLM or Air Canada. Flights within Peru are operated by resident airlines, such as LAN Chile, TAM. etc..
Is there a direct flight from Germany? No, at the moment no direct flights are offered by any airline. Direct flights are available from Amsterdam, Paris, Madrid and Barcelona. Since April 2017, British Airwaiys has also been flying directly to Lima from London, with flights to London between London Heathrow and Gatwick usually being required in London. Thus, you have to expect a higher conversion time, which also omits the total travel time. The luggage regulations vary greatly depending on the airline. More details can be found on your plane ticket or you can ask the exact baggage regulations before booking with us. How do we deal with travel insurance? We have one of the insurance coverage worldwide. Travel insurance with our assistance card partners so that nothing ruins your holiday. We offer you the necessary cover for your journey to and from Europe. If necessary, we can help you to find the right short-term or long-term health insurance at an optimal price-performance ratio. Do you need a foreign travel health insurance? We recommend that you first check with your health insurance company about their benefits abroad. Treatments and other medical services outside of Germany, Austria or Switzerland can be expensive and are usually not covered by your normal health or accident insurance. Treatment and repatriation insurance provides assistance in the event of an accident on the spot, which you, your companions or relatives suffer (eg medical advances abroad, repatriation, early return in case of illness of a relative, private liability, legal protection, etc.). Some credit cards already include insurance that covers these points. Please inform yourself for this at your bank. Evaneos, in collaboration with Allianz, provides multi-risk insurance that reimburses medical expenses overseas. We recommend that you take out travel cancellation insurance before each trip. With a travel cancellation insurance you can get all costs incurred by the cancellation of your trip reimbursed. Local agencies will reimburse part of the price, staggered by the number of days remaining before the scheduled departure date. The agencies can not repay the entire travel price because they themselves have commitments to hotels, carriers, tour guides, etc. The repayment terms in case of cancellation vary according to local agency. Please note the cancellation policy stated on your booking form prior to booking. How much preparation time should be planned for planning the trip? Everything depends on the duration and complexity of your trip. For a simple route, a quick exchange via e-mail is sufficient. But if you are experienced and discerning traveler, you can spend several weeks in contact with the agency to plan your ideal tour. In any case, take enough time not to depend on booking capacities and higher-priced general travel times, as these can be limited during the high season. Before you discover foreign countries and cultures, in some special cases one or the other hurdle must be overcome. Entering the destination country is one of the most important issues that every traveler has to face. Unfortunately, we can not take the legal responsibility of a legal entry as your travel expert, but we are still there to help you with words and deeds. We can answer you if a visa is required or will refer you to the appropriate authority in your country. A visa is not needed as a German (or comes from a member state of the EU), if the stay does not last longer than three months. The passport must be valid for at least 6 months. On the journey it is important to have the original or at least a copy at hand, as it may be necessary to go through several police checks. The passport and the copy should be carried in two different pockets, as this would avoid bureaucratic difficulties at the embassy if a piece of luggage was stolen. To be on the safe side, you can also give the fellow traveler a copy! Please note that the passport should always be worn directly on the body during transfers, ie in a breast pocket or hip bag. Please also note that the passport may not be dirty or damaged, as this may lead to dismissal upon entry. We recommend that once you have decided on a destination, please contact the embassy of the destination country to receive details of the exact visa process as early as possible. Which travel literature is recommended? Here we can recommend different travel guides, e.g. Dumont travel and travel know-how guides as well as the Marco Polo and Polyglot travel book. In addition to these classic travel guides, we can recommend the sympathy magazines. In short articles, the sympathy magazines illuminate complex issues and provide their readers with insights into foreign cultures, religions and other topics. We have a variety of possibilities that can be found in Peru or also in are offered in Germany to make the payment method as simple and secure as possible. So payments in Euro, USD or even PEN are possible. Can every traveler pay for their travel expenses separately? This is easy, if you tell us ready in the travel planning moment and we can calculate the individually incurred travel costs associated with people. Talk to us already during the rice planning. In which currency are the prices displayed at AlemaPE-Tours? The displayed prices will be switched according to the country assignment / language assignment. Prices may vary if the current exchange rate changes or if you visit the page in another country. Perú is on time at MEZ minus 6 hours (CEST minus 7 hours) to Germany. How is the climate in Perú? Due to the large north-south expansion, the Pacific coast and the height differences between the sea and the more than 6,000 m high Andes, there are very different climatic conditions in Peru. The climate in Perú, however, can be divided into two seasons – wet and dry – but may vary depending on the region. The temperature is most affected by the altitude. The higher the regions you climb, the cooler it gets. For more information about the weather in Perú, see Weather & Climate. The times of the extremist and violent movement “Sendero Luminoso”, which made a trip to Peru risky, are finally over. Today it is no longer a problem to travel in Perú. However, as a traveler, you should always be aware that, despite its popularity as a tourist destination, the country is still a newly-developed country and tourists are considered rich in the eyes of the locals. In this respect, it is not surprising if thefts occur again and again. In the dark, catch a taxi before you walk alone to your hotel. This depends very much on your consumption habits, and how many souvenirs you want to bring home. You should expect for food and drinks with about 20-30 euros per day. In addition, there are souvenirs in which the spending but very individual and possible expenses for optional excursions. The information that we can give you regarding the granting of tips are guidelines and, of course, depend on your satisfaction and the perceived quality of the corresponding services. Whether and how much tip you want to give depends entirely on you. For private tours a maximum of 5 soles day / person for the tour guide and 5 soles per day / person for the chauffeur are usual. A guide who is also your chauffeur should therefore receive between 10 soles a day and a person with a satisfactory performance. For group trips the chauffeur receives about 2 to 5 soles per day and passenger, the guide also. Taxi drivers do not expect a tip. The fare must be negotiated before departure. While high-end luxury restaurants usually include a service fee, good middle-class restaurants usually give around 10 percent of the price as a tip. And one more thing, in restaurants in Perú, it is common for ONE person to settle the bill and no split bills are issued. Prepare your joint calculation as appropriate. in the smaller restaurants it is customary to have 1 to 2 soles for table service or hand over to the waitress. What do you usually eat in Peru and what do you have to pay special attention to? Various types of potatoes, corn, bananas, beans, rice, avocados and tomatoes are typical. In the rainforest also Yuca (in Africa this root is called manioc and is usually offered in Germany under this name, ie a root that resembles the potato of consistency and also a bit of taste). Everything arranged very clearly and mostly easy to recognize. Usually there is chicken, turkey or various meats, usually pork or beef, although the specialty in the Andes is the “Cuy”, a specially bred kind of guinea pig. The food is not spicy, provided you leave the red sauce (Rocoto or Crema Rocoto), which is often in one of the saucer (usually 4 pieces). At the same time, he should rather forego unusual palates on “Aji”, which can be spicy or very spicy, depending on the type of cooking. Fantastic is the selection of fruits, which are also increasingly available in Germany to buy, but in Peru taste incomparably delicious and are also much larger. You can eat mangoes, papayas and pineapple directly, but the juices made from these fruits are also delicious. In no case one should do without tasting the country-typical food. Ceviche is a special dish that can be found almost everywhere in Perú. It is made from raw fish, onions, aji and lime juice. Of course there are “Platos tipicos” in each region, which means as much as typical dishes. We wish you on a gourmet trip the best impressions and a lot of fun with the fascinating enjoyment of the Peruvian cuisine, which also holds its entry into Germany for some time. Which diseases can occur during the journey? Diarrheal diseases can always occur. You travel to foreign countries and perhaps eat foods that your stomach is not used to. That does not mean that the food itself is bad! Add to this a new environment and the time difference that can potentially upset your digestive system. Travel sickness is often a companion. If you do not like bus travel very well, especially on winding roads, we recommend that you take appropriate drops or tablets with you. If you would like to learn more about country-specific diseases and prevention or precautionary measures, we recommend a look at the page of www.fit-for-travel.de. On our tours of Perú we reach heights of over 3,800m as well as 5,000m. The high altitude air is oxygen poor and of lower atmospheric pressure, which is why at altitude from 2,500m symptoms of altitude sickness such. Headache, dizziness and nausea can show. Although the itinerary provides for a slower height adjustment, traveling through Peru requires good health as well as a good basic condition. All travelers interested in cardiovascular complaints are urgently advised by the family doctor, who should then also inform you about possible preventive measures. Sorochipills are best bought directly in Lima because they are a lot more expensive outside. More about this topic can be found here. Which medication should I take with me / First Aid Kit? For every trip you make, take a small first-aid kit. The basic equipment should look something like this: Personally required medicines and remedies for travel problems, painkillers and headache tablets, remedies for stomach and intestinal diseases (such as Imodium / Renni) insect repellent, sunscreen and lip protection, plasters and gauze bandages. In Peru you can also get a lot, unfortunately, with the foreign medicines for foreigners is never guaranteed that the drugs also affect our bodies, but this does not mean that in Perú bad drugs are traded. Rather, the body of a European is generally conditioned by nutrition, hygiene and medications already received quite differently than that of the Peruvian population. You can get medicines in many places in Perú. The pharmacies are called “Botika”, “MiPharma” or simply “Pharmacia”. In Peru, no special vaccinations are required. Should you plan a tour to the north of Perú, especially in the Amazon, then a yellow fever vaccination is recommended. Further information can be obtained, for example, from the German Foreign Office. Average fitness and good health is all you need to bring with you. In general, one can say: If you have read through our travel description and this meets your expectations or awakens the desire to travel with you, then you are usually fit enough for this trip. The only important thing is that you do not care much about climate fluctuations. In case of doubt, please consult your doctor early (before booking). Can I use my mobile phone or smartphone in Peru? That depends on both your mobile phone and your mobile service provider. In larger cities, you sometimes have reception if you have a tri-band phone. In general, however, you need a national mobile phone chip of each country, otherwise not inconsiderable roaming charges. Even with this chip you do not have reception in all parts of the country and cities. Please ask your provider. Do I have the possibility to call home? Most “internet cafés” offer international calls via Skype or other services, and many cyber cafés also offer telephone services with telephone booths, as not every household in Perú has a telephone, prices vary widely and vary from country to country ! Are there any ways to use the Internet while traveling? In most places you will find quite a few internet cafés. Even if the connection is not always the fastest, it is enough to stay connected with your friends and relatives. However, depending on the tour area, you may not have internet access for 3 days at a time. When choosing your accommodation, we always make sure that there is free WiFi for you, so you can expect to get back in touch with the internet at the property. Sustainable tourism is the idea of recreational and recreational environmental design. The protection of nature and landscape as well as the living environment of the locals stand in the foreground. Development is sustainable if it meets the needs of all countries and populations of today’s generation, without compromising the ability of future generations to meet their needs. For AlemaPE-Tours, it means we work so often and so much with the local people. For your cooperation and participation, e.g. in cooking programs and other craft programs, they are rewarded at a decent and reasonable price. Therefore, the travel modules, tours and round trips provided by us always have special contents, in which we offer the opportunity to exchange views with the local population and you get to know each other more deeply. It is also always important for us to show you the traditions and craftsmanship. Here is the direct and thus more intensive meeting with our friends, partners, guides and tour guides for improved getting to know each other. In which form does AlemaPE-Tours operate sustainable tourism? When traveling, only as many routes are covered by plane as absolutely necessary. Round trips are only offered for a minimum of 2 weeks. The accommodation takes place in country-specific accommodations, which are the property of the Peruvian population. The round trips will allow people to get in touch with local people to promote cultural exchange and mutual understanding. Therefore, the size of the tour group will be reduced to max. 8 people limited and thus avoided mass tourism. Part of the travel price supports social and environmental projects (environmental and social projects). What does social responsibility mean for us? AlemaPE-Tours is committed to upholding its social responsibility with people, the environment and nature. In our company we promote the correct use of water and energy, recycling of paper, plastic and glass. Small details, such as turning off the light when leaving an office, turning off the computer screen when we are away for a few minutes, and do not let the water run, are commonplace practices in our offices. We also cultivate business ethics and promote human development, taking care of the working conditions and health of all our employees. We also do social work in Lima and the provinces, and we also work on a few UNICEF-funded social assistance and social projects. For us, this means working with locals wherever possible. Of course, this also has the consequence that we pay a reasonable fee to the persons concerned. All of our travel arrangements will always include something special for you (such as cooking together with local food and drinks). The direct exchange with the local people or even whole families helps you to get in contact with the population and to understand the ways of life of the Peruvian people better. The on-site encounter with our helpers, drivers, tour guides and tour guides allows them to understand and improve their actual living conditions. You get to know the national and regionally different traditions and customs more precisely. This type of travel is only possible as an individually planned trip or with small groups. That is why it is very important to us not to engage in mass tourism and plan in advance all the important points of your unique journey with you.